So says The Royal Canadian Mint (www.mint.ca) in a recent news release*. Lorimer Wilson, editor of www.munKNEE.com (Your Key to Making Money! ), has further edited ([ ]), abridged (…) and reformatted the release below for the sake of clarity and brevity to ensure a fast and easy read. The author’s views and conclusions are unaltered and no personal comments have been included to maintain the integrity of the original article. Please note that this paragraph must be included in any article re-posting to avoid copyright infringement. Net proceeds of the offering will be used to purchase gold on behalf of the initial purchasers of ETRs at the London p.m. fix price on the closing date of the offering which is expected to occur in late November 2011 . Subject to certain restrictions, ETR holders will be entitled to redeem their ETRs for physical gold products in the form of 99.99 per cent pure gold bars or coins, or for cash based on the future gold price or market price of the ETRs. Subject to market conditions, the initial offering of ETRs is targeting an issue size of approximately C$250 million. The issue price per ETR will be C$20 or the U.S. dollar equivalent and the Per ETR Entitlement to Gold will be determined on the closing date and will be reduced daily by an annual service fee of 0.35%. 3. 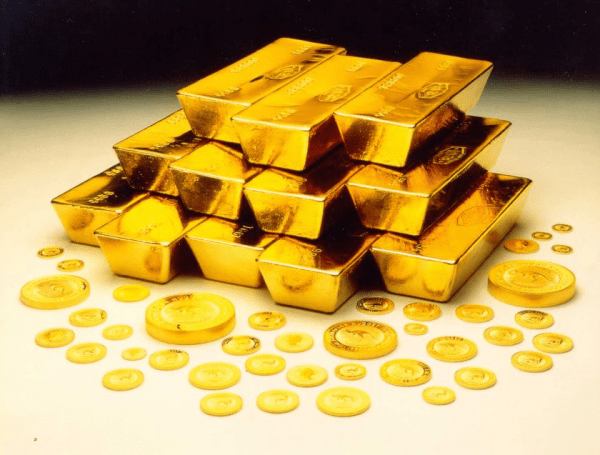 Gold Price Keeps Going Higher As U.S. Debt Keeps Increasing – Got Gold? 4. Peter Schiff on Gold: Don’t Look a Gift Horse in the Mouth! 6. Gold: Are You “The 99%” or “The 1%”? 7. Gold Bullion: What’s the Difference Between 1 Troy Ounce and 1 Regular Ounce? Previous Will Gold Drop as Low as $1,200 Before Spurting to $2,000? Next Gold: What the ! @#$%^&* Is Going On!